What Are The Major Health Problems That Sleep Apnea Causes? 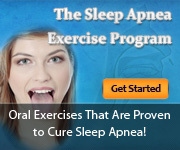 If you have the sleep disorder, sleep apnea, do not take it for granted. There are a number of major health problems that can develop if the condition is not treated. In the United States Alone, there are more than 18 million people who have the sleep disorder. Alarmingly, 90% of people who have it don’t even know it. Due to this, more and more people suffer the consequences. The major health risks caused by this sleeping disorder can potentially cause death. These complications are causing a major concern in health authorities, and the numbers are climbing at alarming rates. Although the connection of the sleeping condition and these complications are still unclear, the condition’s effect of restricting oxygen to the body can greatly impact the way the heart and brain functions. In any case, the consequences can be fatal. Heart arrhythmias are disorders of the heart rate. It is defined by either slow or fast heart rates. These irregularities in heart rate can cause complications such as heart attacks, stroke, and heart failure. Heart failure refers to the inability of the heart to pump blood to the different areas of the body. Once this happens, the different organs in the body are unable to get the nutrients from blood, and are unable to flush out toxins. High blood pressure is described as the force in which the heart pumps blood in congested arteries. This condition causes a variety of complications that can be fatal. It is one of the major causes of deaths around the world. Stoke is defined by the cut of blood supply to the brain. Once this happens, the brain is unable to carry out its functions. Brain damage is inevitable, and death may follow soon after. Millions of people around the world suffer and die from these complications each and every year. Due to unhealthy habits and neglecting to have their sleep apnea treated, the numbers are rising. If you have the sleeping disorder, or suspect you have it, do not hesitate to have yourself checked. Otherwise, you may very well join the unfortunate statistic.